Creamy Cremora Tart - The Easiest Recipe, Right Here! 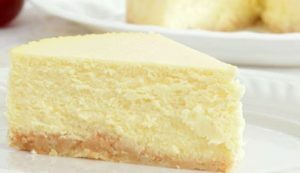 If you like cheesecake, you’ll love Cremora Tart! A creamy taste sensation that is sour and sweet. This rich and dense tart will pair perfectly with your coffee. Ready in under and hour! Crush Tennis biscuit to the consistency of fine breadcrumbs using a food processor, or place biscuits into a plastic bag and crush with a rolling pin. Mix T-Biscuits with melted butter, press into the bottom of a tart tin and refrigerate to set. Stir Cremora into hot water until completely dissolved. Whisk condensed milk and Cremora mixture together in a bowl. Add lemon juice, a little at a time, whisking until mixture thickens considerably – you might not need all of the lemon juice. Pour filling into tart base, smooth with a spatula and refrigerate to set for a few hours or overnight. Drizzle with honey and scatter with fresh berries and lemon zest, before serving.